I’m Manolis Lykiardopoulos from Athens in Greece. I’ve worked in the hospitality industry for fifteen years, it’s what I’ve always wanted to do… the bar is my life. 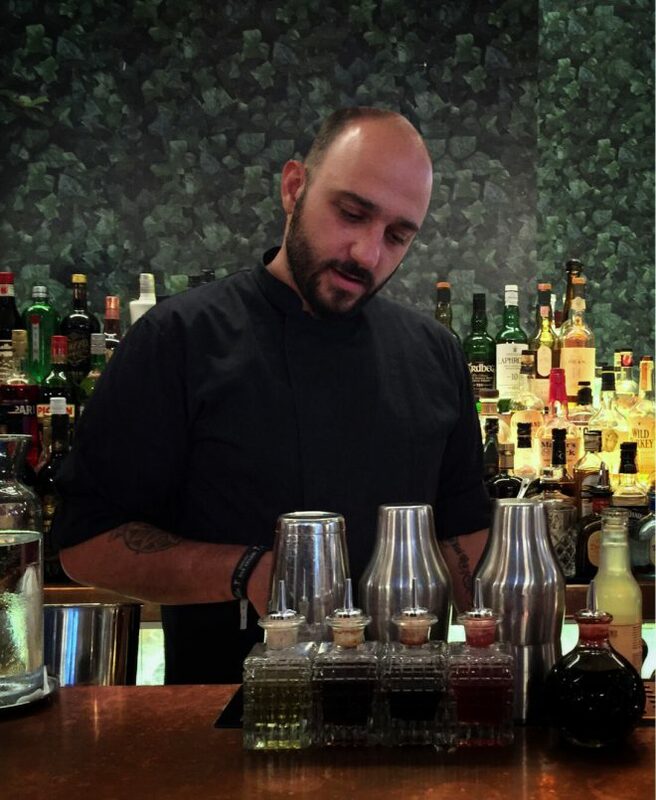 During this time I’ve worked in various bars in Athens and in 2015 I was the winner of World class for Greece and came fifth overall. Then in 2016 I won the Martini Grand Prix in Milan. Now I have finally opened Odori (the first vermoutheria in Athens) with my friends who are the same guys behind The Clumsies. Odori is my perfect bar and I wouldn’t change what we have here. This is a special time for me as I’ve always dreamt of owning my own bar with friends, and now I do. We’ve created the interior of Odori to reflect a botanical garden (inspired by the botanicals in vermouth), so there is lush green leafed wallpaper and details such as light fittings that look like birdcages, complete with birds. I love the simple things like staying at home with my wife, going to the theatre or cinema and wandering around Athens. I think tequila is a good base for cocktails. It’s special as it takes years to grow and has a sweet and spicy quality. Fortaleza tequila is my favourite right now. Bartenders can use the same ingredients and measurements but the drink will taste different. That’s why I think a good cocktail is made with passion, love and of course balance. Of course it’s vermouth. It’s bitter and sweet at the same time, works in long or short drinks, it’s just very diverse. I also like how the wide variety of vermouths have such differing characteristics. Go to the Savoy, I love those guys.